The Stalker In The Sands! The Thing has been recruited by Tony Stark to test a new space vessel, but the test fails when the bedrock proves itself less than strong enough to support the launch. 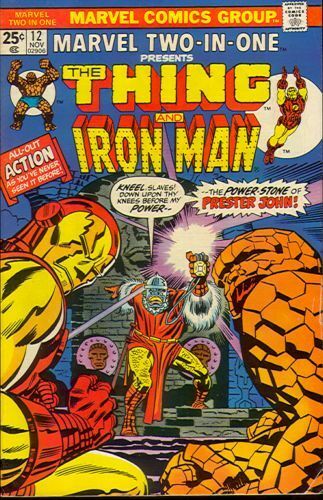 The Thing encounters Prestor John, last seen in Fantastic Four #54, and he and Iron Man have to find a way to stop his quest for power.